Call of Duty Black Ops 4 Blackout beta client is currently available to download in Japan. It should soon be available to download in other regions as well. Players can download the client through the Japanese PlayStation Store. Those interested in accessing the beta can either purchase a copy Black Ops 4 or spend 100yen ($0.90) to access Blackout mode. Download size is over 18GB so make sure you have enough space in your HDD before downloading. You do not need a PlayStation Plus membership to access the Black Ops 4 Blackout beta. After downloading the beta, you need to wait until 2 AM, JST before you can access Blackout. Those who had access to the open beta and still have the client would just need to download a small update that would unlock the Blackout mode within the open beta client. The client is only available to download for PS4 users for the time being. Blackout beta will hit PC and Xbox One starting September 15, after allowing PS4 users 5-day head start. 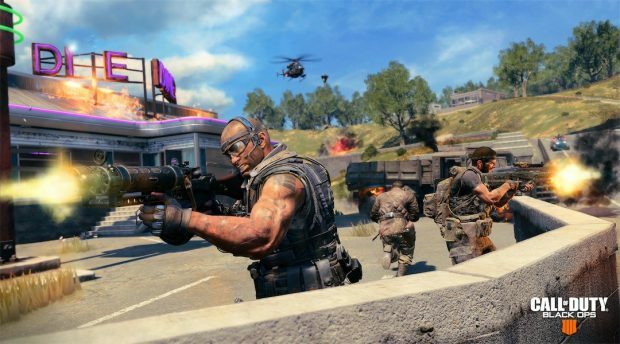 Black Ops 4 Blackout beta will give you access to the largest Call of Duty map in history. 80 players on the map will compete against each other to gets the “Chicken Dinner,” COD style. 20 teams of 4 will be on the map but if you are looking to play solo, it doesn’t seem to be an option. However, the solo mode is yet to be officially confirmed or denied by Treyarch. The final game is releasing on October 12 for PS4, Xbox One, and PC. The PC version is exclusively distributed through Blizzard’s app. Black Ops 4 has seen a decent amount of success already, partly thanks to EA taking the politically correct route with Battlefield V. Battlefield’s publisher in its arrogance called player “uneducated” when they questioned the historical accuracy of V. The result? Black Ops 4 pre-orders are 85$% ahead of Battlefield V and the later has already been delayed to November. 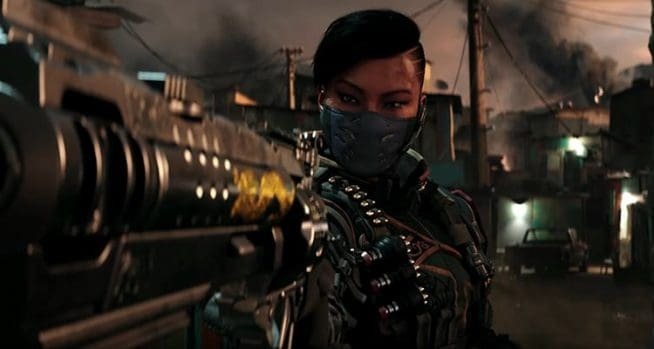 Battlefield V is no longer competition for Black Ops 4, in fact, the biggest COD competitor will be Fortnite, especially, in the Battle Royale space. But Treyarch doesn’t seem bothered by Fortnite at the moment.